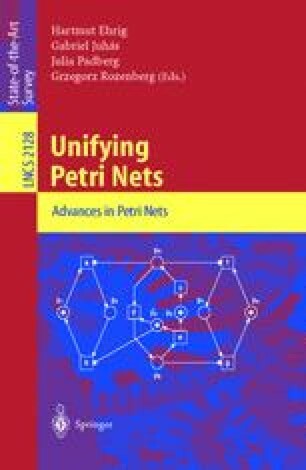 The increasing number of Petri net variants naturally leads to the question whether the term “Petri net” is more than a common name for very different concepts. This contribution tries to identify aspects common to all or at least to most Petri nets. It concentrates on those features where Petri nets significantly differ from other modeling languages, i.e. we ask where the use of Petri nets leads to advantages compared to other languages. Different techniques that are usually comprised under the header “analysis” are distinguished with respect to the analysis aim. Finally, the role of Petri nets in the development of distributed systems is discussed. R. Eshuis and R. Wieringa. A formal semantics for UML activity diagrams, 2000. Available at http://www.cs.utwente.nl/ eshuis/sem.ps.